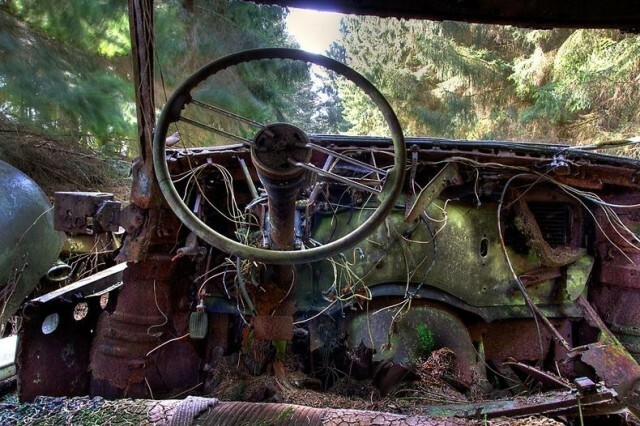 The Chatillon Car Graveyard is a neatly arrayed collection of vintage cars abandoned in the woods near Chatillon, Belgium. 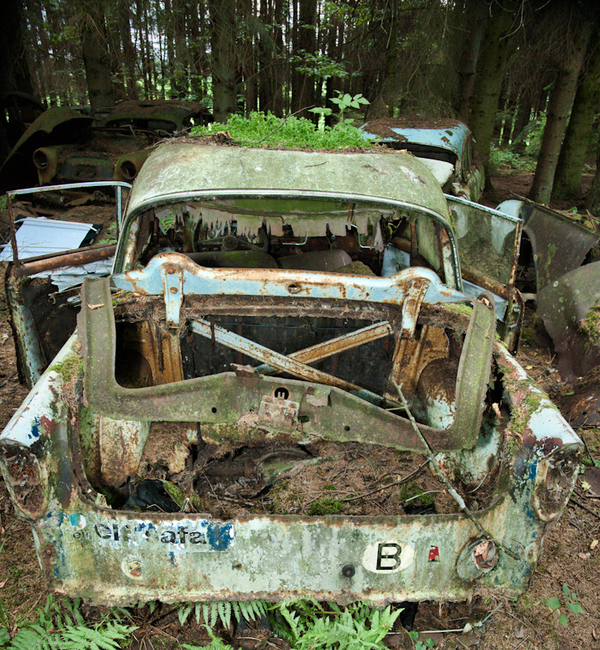 The cars, originally some 500 in number, were supposedly left there by American soldiers who were stationed in Belgium after World War II. 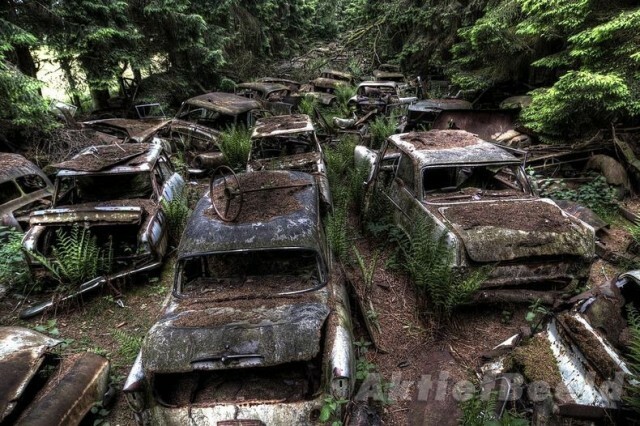 When the soldiers returned to the United States, they were unable to ship the cars, so they left them neatly parked in the woods. 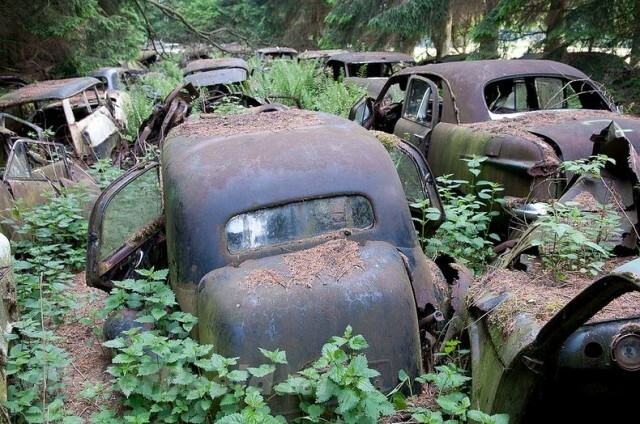 Over the years the cars have dwindled due to cleanup efforts and scavenging collectors. 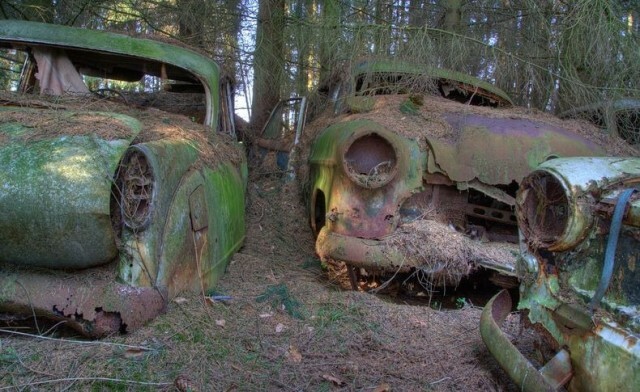 The cars are faintly visible on Google Maps. For more photos see these photo sets by Rosanne de Lange and Stefaan Beernaert.